There are many things you should not do before purchasing a home, or you may compromise your chances of getting a mortgage at best, or even be refused a mortgage at worst. Take the tips below seriously, because many people have ignored them and were sorry they did. You have found your dream home, so what comes next? What should you do and not do to make sure you don’t let it slip out of your grasp? This is easily done, even if you have the finance and wherewithal to purchase it and to maintain your monthly repayments. Your main job is to persuade the lender that they can trust you to maintain your payments faithfully until completion – and that could be as far as 30 years away! You should have a record of stable employment, and if your new dream job becomes available at the same time as your dream home, you will have a choice to make. Your lender wants to see that you are in stable employment so changing employment while you are in the process of buying a home can create complications. 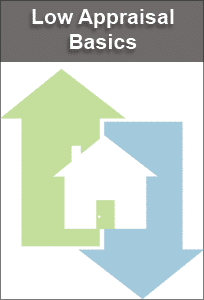 The home buying process becomes even more complicated if you have become self-employed! Your lender may ask for your last 5 years of employment history, and if you have had several jobs, or have become self-employed you may be considered a higher risk by your lender. Even if you have changed jobs for more money, it is possible that you may be refused a mortgage if you have not been in the same job for at least 3 months so that you are past any ‘trial’ or ‘probationary’ period when you may be released. You lender works from a ratio known as the debt to income ratio (DTI), based upon how much you owe as a percentage of how much you earn. If you purchase high ticket items using a credit card or loan, you increase your DTI. If this exceeds 36%, including your mortgage and home insurance, then you will likely be refused a loan to buy your home. Keep that new leather sectional until you actually have the mortgage and the keys, not before! If you open any new credit accounts shortly before your mortgage applications, you could be regarded as a bad risk. This is because you have little or no credit history of repayments for this line of credit. Also, did you know that credit searches on your records with Equifax, Experian and TransUnion can adversely affect your credit score? Even if you agree to act as guarantor for another person, your records will be searched and your mortgage application could suffer because of it. The mortgage underwriter will be suspicious of any large sums paid into your bank account shortly before or during your application. Anything over $500 will be queried. It is known for sellers to pay prospective buyers cash to pay the required deposit, and increase the asking price by the same amount. This enables the buyer to pay a deposit they would otherwise be unable to raise so the seller can sell the house – and is 100% illegal! Your bank account will be scrutinized when you apply for a mortgage. Prospective lenders want stability in everything: employment, income, outgoings and bank accounts. Try to keep everything stable before purchasing a home, meaning no excessive outgoings for around three months prior to your application, no excessive deposits, no new credit cards and certainly no changes of bank account or banks. You have a better chance of being approved for a mortgage if your finances having been running smoothly. 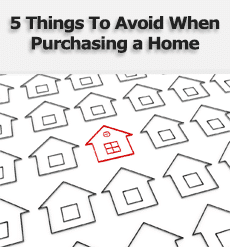 If you ignore any one of these five when purchasing a home, then your application for a mortgage will be compromised. You may be asked to show evidence of financial stability for a period before reapplying. If you have big ideas for a new job, a new car or other major purchases or applying for that fabulous new credit card or even a store card, leave it until you have the keys to your new home – then you can do what you like (within reason!). Many homebuyers are not aware that getting pre-approved for a home loan might just be what gets you them a new home faster. Before you start looking at homes, consider taking the time to talk with a lender or two about getting pre-approved for a mortgage so speed up the closing process and prevent missing the chance to purchase a home if you don’t have the mortgage approval necessary but other bidders do. Before you can be pre-approved for a home loan, your credit, income, and debt history will all be checked to ensure you’re a good candidate for financing. This is also where you determine how much money you’re able to bring to the table as a down payment. The process itself is relatively quick and after these checks are completed, you’ll know how much can borrow. Once you’re pre-approved, you generally have a period of 1 to 3 months to look for and secure a home before further action needs to be taken. You have the option of locking in your mortgage rate during this time as well, so even if mortgage rates up before you purchase, your lender will still provide you with the better rate. No matter what amount you’re pre-approved for, you’ll see that getting financing early has a number of benefits. With pre-approval in hand, you’ll be seen as a serious buyer. Sellers often see someone with pre-approved financing as a more attractive candidate than a buyer who submits an offer without having secured a loan. After your offer is accepted and you’re under contract, your pre-approval will also help the rest of the purchase process go smoothly. You won’t need to worry about shopping around for a mortgage or approving for a mortgage as you are trying to close one of the most important deals of your life. 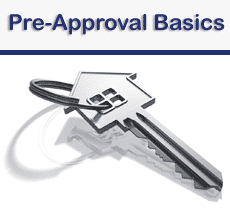 Getting a pre-approval is part of planning ahead when you intend to become a homeowner. 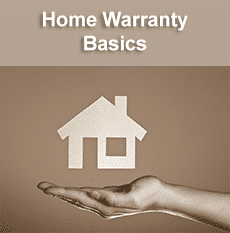 Follow some of these steps to help insure you have a smoother home purchasing experience. Whether you’ve been living in your home for a year or for thirty years, you will have to go through the same process to sell your home. Finding a Realtor who knows the market you live in can make the sales process more efficient and can save you time and frustration. As the mediator between you and the buyer’s agent, your Realtor’s job isn’t easy. If you keep a few simple things in mind, the process will go much more smoothly. Your home means a great deal to you. If you’ve made updates, you’ll want the buyer to appreciate your hard work. However all buyers are not going to love your exact tastes. It’s important not to be offended if a buyer doesn’t love everything about your home or consider it to be worth the price you’d like to get for it. It is not uncommon for your upgrades to not be given a dollar for dollar value when your home is appraised. 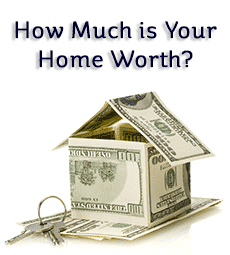 In fact, sometimes they will get little to no mention in the appraisal and may not affect your appraisal value. Whether it’s for a showing or after the paperwork is signed, keeping your home clean and put together can make a world of difference as perception is reality. 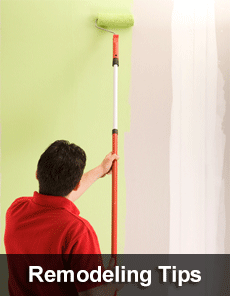 A dirty house can and will put off potential buyers. The better the house looks, the more buyers are willing to pay, which means the more you stand to get from the sale. It’s your realtor’s job to sell your home. Trust them to market your house to the people they think have the highest likelihood of buying it. Your home should always speak for itself and if not, your real estate agent is there to do the talking. This same idea comes into play when you’re negotiating a deal. They’re there to get you the best deal possible. It’s important for your Realtor to hear your thoughts and concerns, but they do need space to do their job. It doesn’t hurt for them to like you throughout the process as well. We all enjoy working hard for clients that we enjoy and it is certainly more likely that you will not be getting 100% out of your Realtor if you are on their bad side. The same is true of contractors and others we might employ as well. Following these tips might not be easy, but sometimes they can mean the difference between the sales process being short and sweet or long, drawn out and frustrating. If you do decide your Realtor is not a good fit, simply communicate that to them and find one that you think is a better fit. The sooner in the process you can make such a determination, the better. DIY kitchen remodeling need not be expensive if you know what you are doing. Fundamentally, remodel or renovate what you can see and clean up what you can’t. It’s amazing what a fresh coat of paint can do, and even more amazing what you can do with new doors if you want to go that far. Here are some tips and ideas for remodeling your kitchen on a budget. First decide on a color scheme. Kitchen remodeling is best carried out as part of a complete makeover for your kitchen. Before purchasing anything, decide on a color scheme for your kitchen as a whole: ceiling, walls and cabinets. Many like to have contrasting colors for their cabinet and doors, but choose what you personally prefer. We are not discussing the ceiling, walls or lighting here, and you can easily renovate your cabinets without touching the rest of the room. You should consider whether or not renew your worktops: this can be expensive depending on the material, although you are still saving a great deal on the cost of new cabinets. If the doors and cabinets are OK then you can repaint them after a quick sanding and primer coat. You can use a brush, but it is possible to get rollers designed to give a smooth surface. If you prefer a wood stain for the cabinets and/or doors, then that can also be done, although make sure you strip off all the old paint. Darker stains such as dark oak and cherry are best for DIY kitchen remodeling. Using new doors is the best way to renovate kitchen cabinets. You can then stain or paint these to make your entire kitchen look like new. It would also save you a lot of time in stripping and sanding, though you still need to do that with the cabinets. However, many times the only parts of the cabinets you see are one or two ends and the edges by the doors. Eyes will be drawn to your new doors, and the cabinets will be largely unseen. Keep in mind that new doors might also mean new drawer fronts to match, though it may be possible to finish them all in the same way. You can remove the doors from top wall cabinets and repaint the insides for a different look – you also save the cost of renovating the doors. Alternatively, replace them with new glazed or louvered doors. You can either refinish existing countertops or buy new. New is best. The finish is more professional and if you wait for a sale or discount they are less expensive than you might expect. Because they will generally be cut to the exact size for you, new countertops are ideal for DIY kitchen remodeling. New door and drawer handles and self-closing hinges will finish the new look for your cabinets. You can also get hinges that open with a push so you do not need any handles. While you are changing the cabinet hardware, also upgrade your kitchen lighting, and fit modern light switches. There is a large range of lighting options available for modern kitchens that add the finish touch to your renovation. If your appliances, such as a freezer or washer, are looking a bit tired, they too can be painted. You can fix corkboard or chalkboard to a freezer or fridge using magnets to provide a handy surface for messages and lists. Car spray paint is good for painting appliances after a good wash down, or have your local garage or body shop do it for you. Finish off by treating yourself with new flooring. You can purchase stick-on tiles that look very professional when laid, and they are easy to lay yourself. However, one important tip is not to rush things. Some people want to do everything at once. Take your time, and work on one cabinet at a time. Then, if it doesn’t work you can start again until you get it right – then repeat with all the rest! These are just some DIY kitchen remodeling and renovation ideas that are not difficult to carry out. They might even give you some fresh ideas of your own! Is a second home a good investment or just another potential burden when markets fall? Is there genuine advice on second homes that is meaningful and can help you come to a decision? Second homes may or may not be the investment vehicle you are looking for, depending on your needs. Yes, you can earn money from your second home, particularly if it is in a high demand location. However, with second homes, you will likely be able to make more money by investing in other forms of investment, such as mortgage backed securities or even purchasing property to rent. When you purchase a second home with cash, you will lose the investment potential of that cash. If you take a mortgage and so pay interest on it, that is even worse. You are getting no money in, but are paying cash out at a regular monthly rate! Either way, it is sheer speculation that the property will increase in value sufficient to provide you with a long term gain greater than from regular methods of investment. If you assume that you make even the low estimate of 4% per annum on your capital outlay, a $150,000 second home will cost you $500 in interest alone if you borrowed over 10 years. So the appreciation over a 10-year period would have to be $60,000 just to break even! That is a big ask these days. Then you have maintenance bills. Homes deteriorate over time and need looking after. You can add these costs to the loss of income from your investment, and all that has to be recovered at a later date taking inflation into consideration. Let’s assume you pay cash for your second home – there is no other way for an investment. You are unlikely to finish positive in comparison to the investment potential of the capital sum paid for the property. Your $150,000 property would likely just break even if it appreciated by around 8% each year – but the average tends to be under 5% over longer time periods. However, it is possible, particularly if you let it out and use your rental income in your calculations. If you do that, of course, it is not a ‘second home’ but rental property. Is a second home a good investment? Most advice on second homes says likely not. However, if you rent it out, even if just as a vacation home on a temporary basis, you have a good chance of doing better than break even. Is that what you really expect of a good investment? That, after all, is the question! If your primary motivation for purchasing a second home is to use the home as just that, a second home, you’re on the right track. If, however, you are looking at making your money work the hardest for you in terms of an investment, there are better avenues to look into such as rental properties, that will also be brining in income. 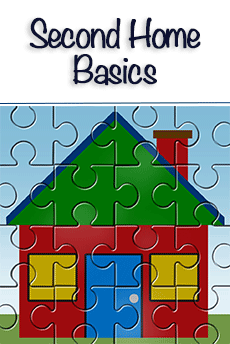 The square footage of a house is important when buying or selling a property. Many people have no idea how to measure a house in square feet because there is no mandatory standard. The standard set by the American National Standards Institute (ANSI) is voluntary so you should be careful with measurements, particularly when buying a house. When buying a home, always keep in mind that the listing agent will try to get the highest possible price for the seller – the agent’s payment depends on the selling price of the property. The property will therefore be advertised in the most advantageous way to get the highest price, and that could mean expressing the square footage in the best way possible without being deliberately misleading. Different people will measure a house in different ways, often according to why they are measuring it. Here are some of the problems and how they arise. The square footage of a house is measured by multiplying the length by the breadth in feet, using the external measurements, not the internal sizes. Each floor is measured separately and added together, and if the property is not rectangular each shape is measured separately. Only heated and residential areas should be used in the total. Thus, if upstairs and downstairs are both 1200 square feet, the total would be 2400 sq/ft. But what about the stair space? That should only be counted once, so should be deducted from the upstairs measurement. Should the floor space of garages and porches be included? Technically no, because only heated residential areas should be quoted. Some people will report the garage and porch separately as being unheated space, but what if the garage has a heater and a bunk bed installed? Some might also claim their heated porch to be a residential area. Because there is no obligatory legal standard, it is little wonder that the dimensions of properties for sale have been subject to complaint after the sale has been completed. 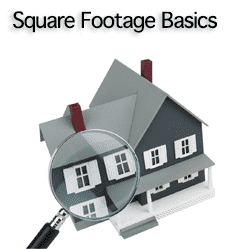 It is not only easy to misrepresent the square footage of a house, but not everybody agrees on how to measure it! If you are buying a home, and its dimensions are important in terms of square footage, make sure you ask if unheated areas or porches and garages are included in the total. Be absolutely certain of what you are buying and also check that the stair area has not been counted twice. Other errors known to occur involve people measuring downstairs then doubling it for a two-floor home. Not only does this double the stair area, but in the case of a vaulted area, where part of the ground floor rises up to the roof of the property, that is also being counted twice. How do you overcome these problems when there is no agreement on how to measure a house? First, use your head and make sure you ask the relevant questions. Ask what the stated measurement includes. Also check comparable sales in your area for any difference between reported dimensions. When buying a home, you can ask your own agent or appraiser for this information before you make an offer. a) What is the square footage of a house for sale? b) Are the garage and porch or any outbuildings included in that figure? c) What exactly does the quoted area include? Ask these questions and you should understand what the figure stated really means.